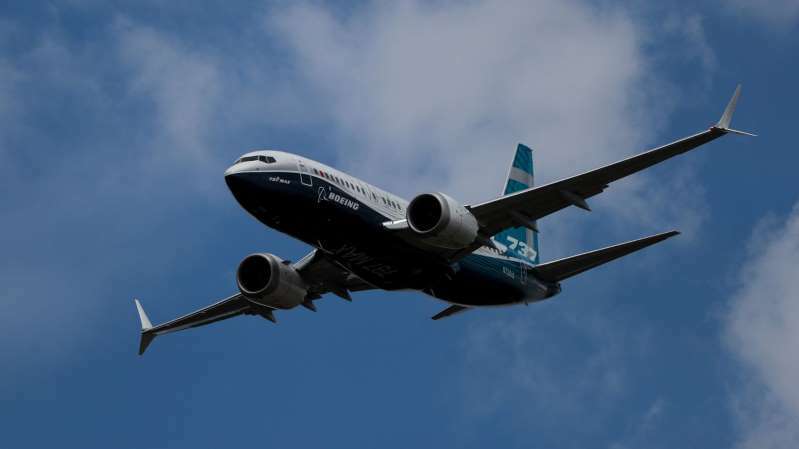 Boeing Co. is preparing to send a bulletin to operators of its new 737 Max models warning that erroneous readings from a flight-monitoring system can cause the planes to aggressively dive, said a person familiar with the matter. The warning is based on preliminary findings from last week’s crash of one of the planes off the coast of Indonesia, said the person, who asked not to be named discussing details that are still confidential. The bulletin, which will be released as early as Wednesday morning Jakarta time, will alert pilots to follow an existing procedure to handle the problem, the person said. Under some circumstances, the Max jets will automatically try to push down the nose if they detect that an aerodynamic stall is possible. One of the critical ways a plane determines if a stall is imminent is a measurement known as angle of attack, which senses the angle at which the wind is passing over the wings. A Lion Air 737 Max 8 carrying 189 people dove into the Java Sea at high speed on Oct. 29 minutes after takeoff. The pilots, who were dealing with an erroneous airspeed indication, had radioed a request to return to Jakarta to land, but never turned back toward the airport, according to Indonesia’s National Transportation Safety Committee and flight-track data. --With assistance from Bret Okeson.